Are you looking for some fun and unique Fall Outfit Ideas? You have landed in the right place! Day after day you look in your closet and you’re bored, am I right? You’re tired of wearing the same old things, the same old way and you just want some variety. 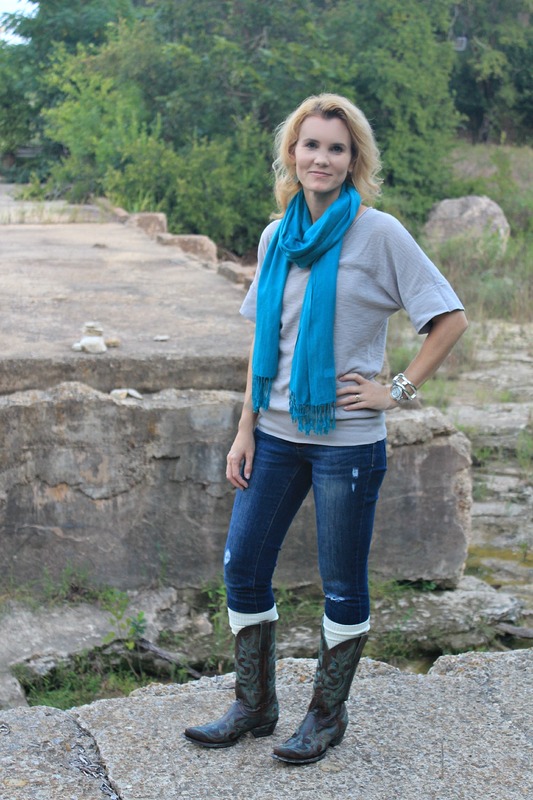 Mixing and matching and coming up with new outfit ideas is one of my specialties! I’m excited to bring you some fall outfit ideas so you can get the most out of your wardrobe and just have fun getting up and getting dressed everyday. You see that gorgeous pair of boots in the picture up there? They came from The Texas Boot Company in Bastrop, Texas. I was thrilled when they arrived on my doorstep. I opened up the boot box and was greeted with that amazing smell of leather. 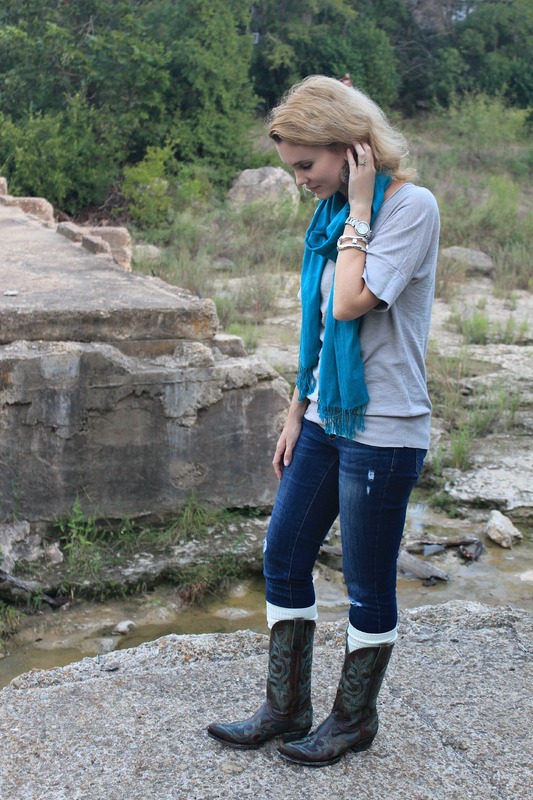 Believe it or not, this Texas girl hasn’t owned a pair of cowboy boots since my Senior year in high school. My style since then has gone a different way and I’ve owned just about every other kind of boot, but after slipping these Old Gringo boots on my feet, I’m convinced every Texas girl should own a pair of these. As I was trying these on with different jeans and tops, I wondered for a moment what they would look like with boot socks. I slipped them on and thought ‘Oh my gosh, I love this!’. After getting approval from my daughter, I knew I had a look for fall I loved. 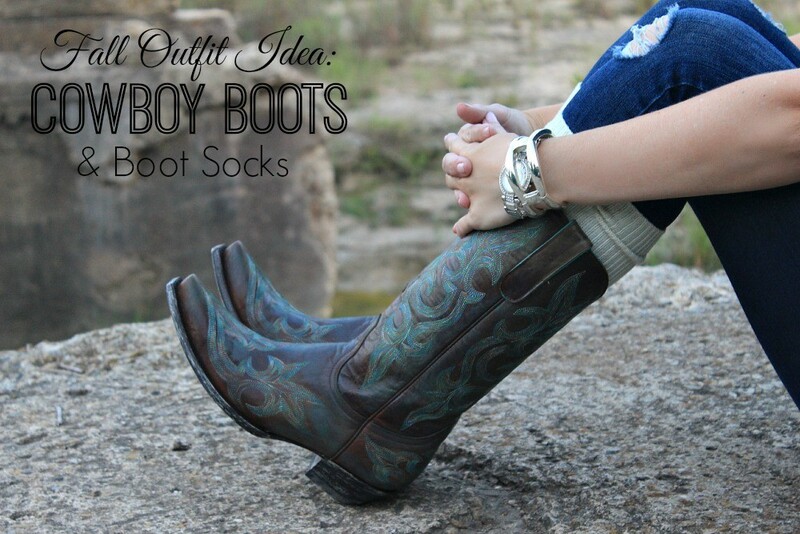 Do you own a pair of Cowboy boots? Have you tried wearing them with boot socks? 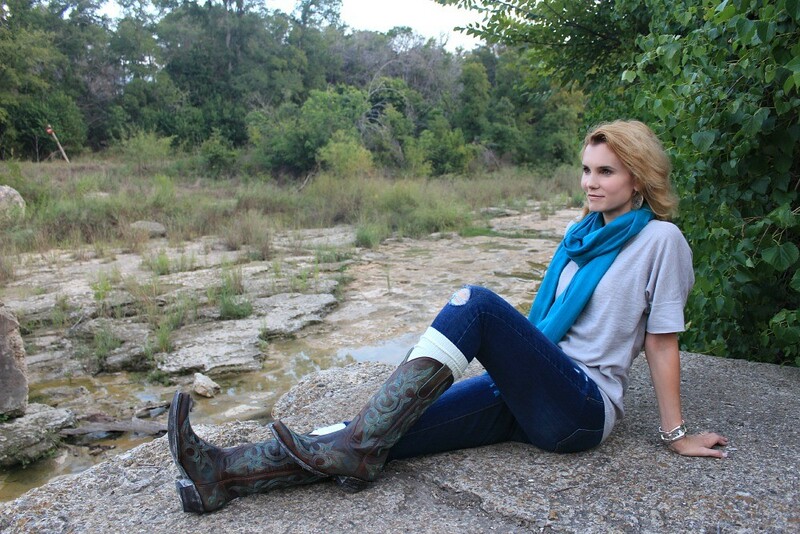 As I mentioned, these boots are from The Texas Boot Company in Bastrop, Texas. Husband and wife team, Marc and Shelley Conselman, opened the store in 2010. I love their story behind how this store came to be. It’s truly a family business, run by love and passion for western wear, their customers and their community. They even have an in-store boot museum, which just adds to the customer experience. I was blown away by their selection of boots and had a really hard time choosing a pair. I am thrilled with my selection and am looking forward to wearing them over and over again. 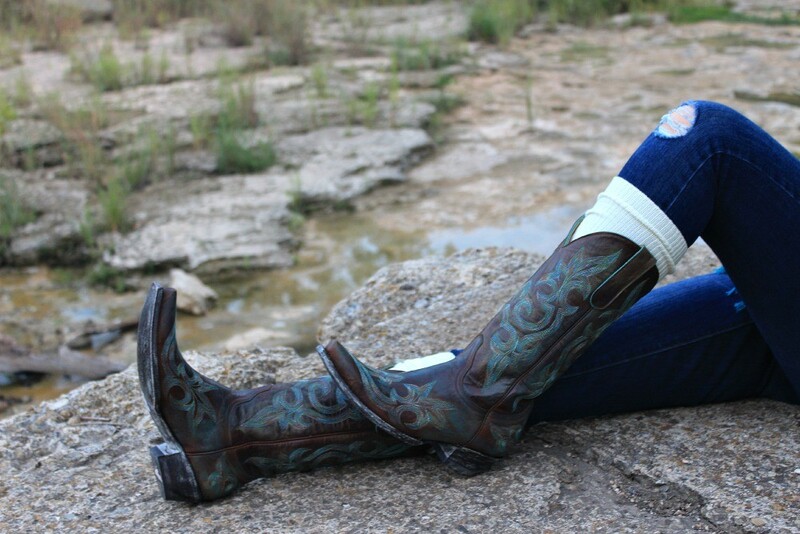 Whether you find yourself in the Bastrop area, or you’re willing to make the drive for a fun shopping experience where selection isn’t an issue; The Texas Boot Company will take care of you. As they say, once you get into Bastrop, just follow the smell of leather. *Disclosure: Mom Fabulous received product in order to facilitate this post. Love these boots! And yes, I would wear them with boot socks.